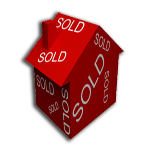 Selling your home starts with setting the correct selling price. Through a careful examination of recent real estate sales data and an intuitive understanding of market conditions I can help determine the right price for your property! At the end of the day, the right price will help ensure higher offers and a quicker sale! Setting the right price will save you both time and money.